It is an honour to be asked to be a pallbearer, and anyone in the position will feel a sense of duty and responsibility. 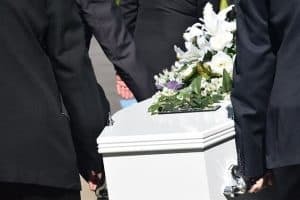 Of course it is a very sad situation, and carrying the coffin of a close relative or friend can be extremely difficult, but you have a duty to do the job well. If the close family of the deceased have selected you as a pallbearer, it shows they trust you and you were very important to the person who has passed away. Pallbearers carry the deceased to their final resting place, and typically between six to eight people are chosen. They take the body from one location to another – usually from the funeral home to the hearse, and/or the hearse to the church. If you are asked to be a pallbearer, you should handle the role with dignity and respect and follow some simple etiquette tips. What should a Pallbearer wear? Of course, black or dark colours are usually preferred for the sombre occasion, however sometimes the family of the deceased will request a certain dress code. They may ask for a favourite colour to be worn, for example. The important thing is to look smart, so a suit is usually preferred to show respect. Also consider your choice of footwear – you will be lifting the coffin and walking for quite some time so women shouldn’t wear high heels and all pallbearers should have suitable, smart shoes. Why the Pallbearer should arrive early? Always aim to arrive early for the funeral, as you will probably need to have a meeting with the funeral directors. All pallbearers need to follow instructions and make sure they are prepared and know what to expect. Even though it is exceptionally difficult, pallbearers are expected to carry the coffin without showing too much emotion. 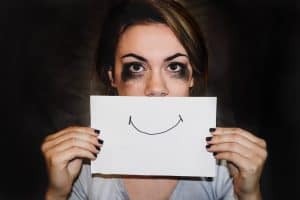 An emotional outpouring can be distracting and difficult to watch, and will also make carrying the casket even harder. If you think you might find it too distressing, then politely turn down the role. You can also turn down the position of pallbearer if you don’t think you are physically fit enough to carry the coffin. At a funeral, people look to the pallbearers as people of authority, and as part of the service people may look to you for direction. Speak with the close family of the deceased before the funeral and ask if there are any tasks you can help with, such as accepting flowers or giving out the address of the wake. It can be overwhelming for the bereaved to handle speaking to all of the guests, so thank everyone for coming on their behalf. Being a pallbearer is a challenge emotionally and physically, but it is also a huge honour to be considered by the family of the person who has passed away.